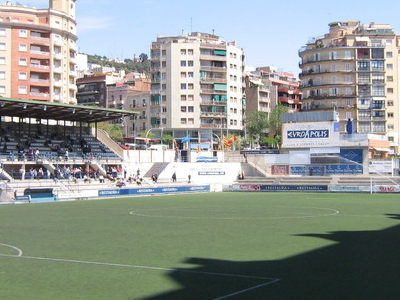 Nou Sardenya is a football stadium in the Gràcia district of Barcelona, Spain. It is currently used mostly for football matches and is the home ground of CE Europa. The stadium holds about 7,000. Here's the our members favorite photos of "Stadiums in Barcelona". Upload your photo of Nou Sardenya!